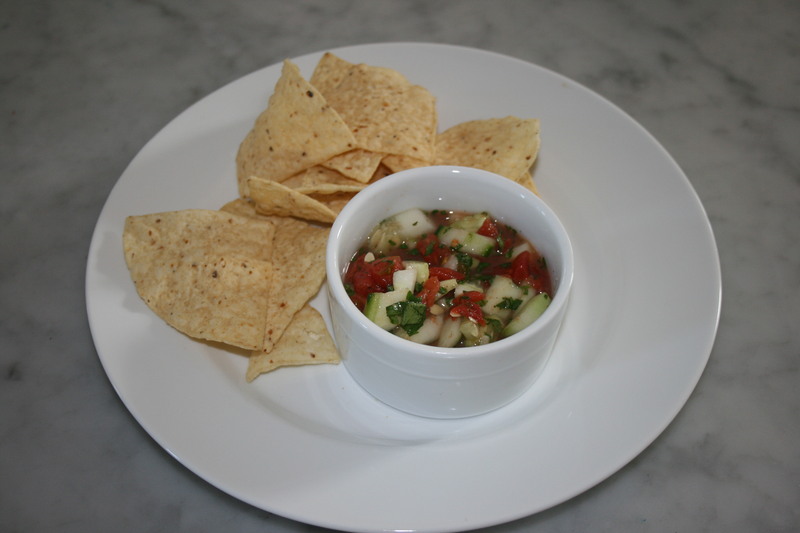 This Cucumber salsa is a hit no matter where I take it! A great way to use up the abundance of cucumbers from your garden! Very flavorful and colorful! 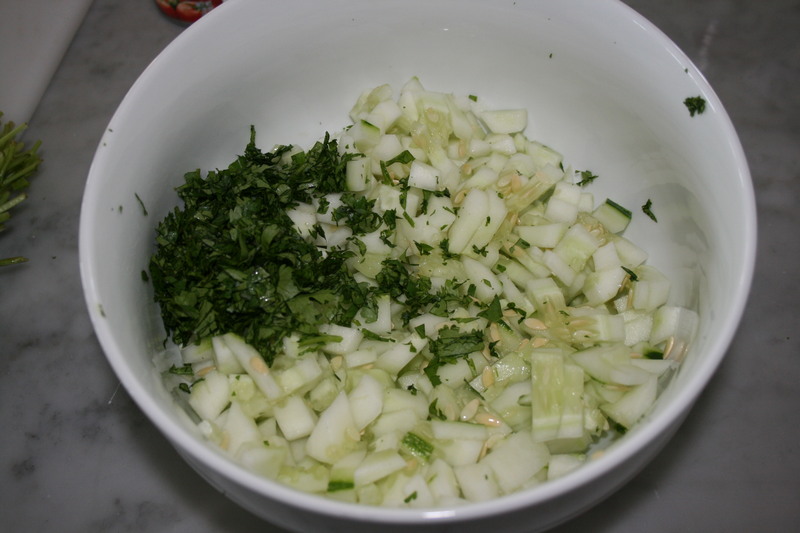 Take the skin off of the cucumbers and cut them up in small pieces. Add your chopped cilantro. 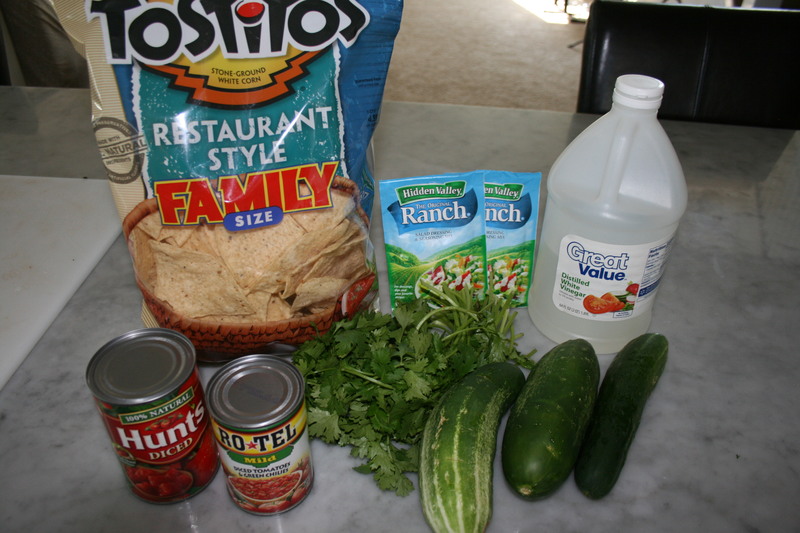 Throw in the diced tomatoes and Rotel (or you can replace the diced tomatoes with another can of Rotel if you want it spicy!) 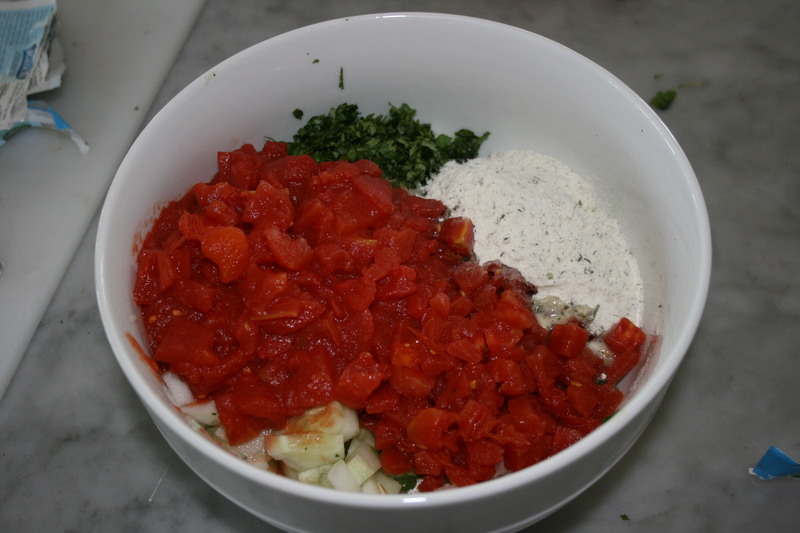 Add your 2 pkgs of Ranch and vinegar! Stir it together and VoiLa!! It becomes more flavorful the longer it sits, so I suggest making it early in the day if you plan to eat it that night! Every Christmas and Easter my Grandmother would make batches and batches of her Italian Knots. 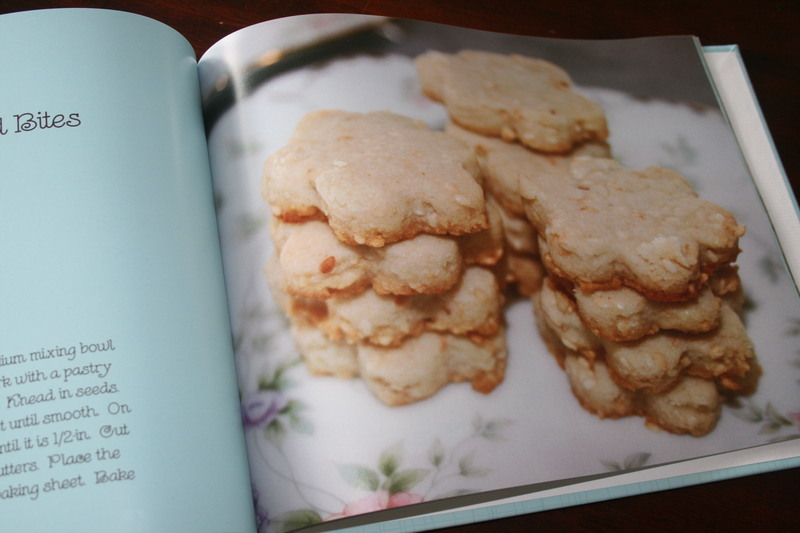 They have always been my favorite cookie and I am so glad that she taught be how to make them. 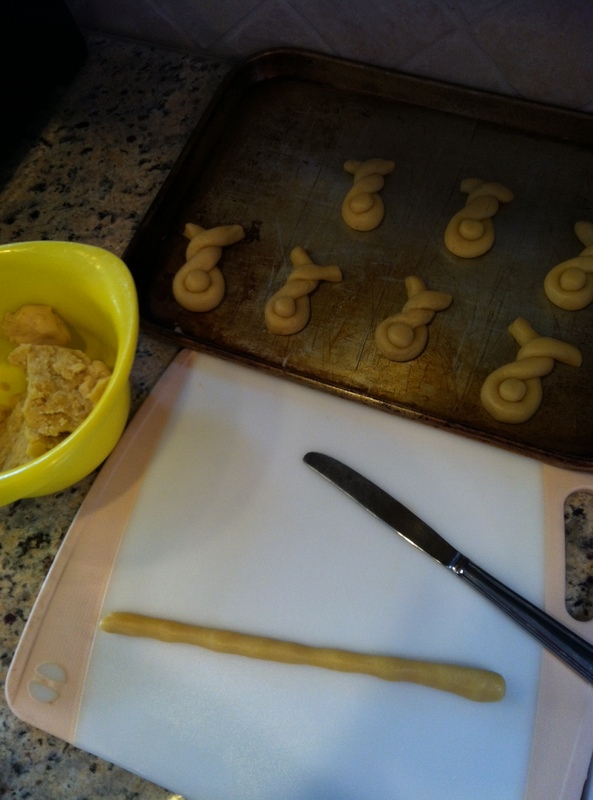 This year I am adding a twist to the traditional knot cookie and shaping the dough into the shape of a bunny! Click here to see my original post on how to make traditional knots. 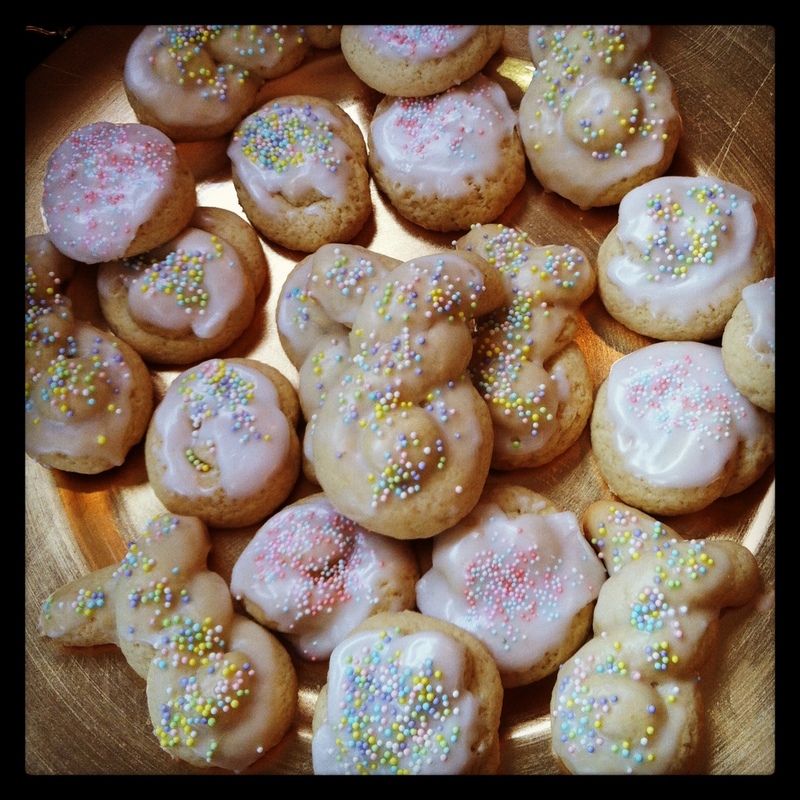 Melt butter, add sugar, eggs, vanilla, baking powder, and salt…slowly add flour. Chill dough in refrigerator for an hour. 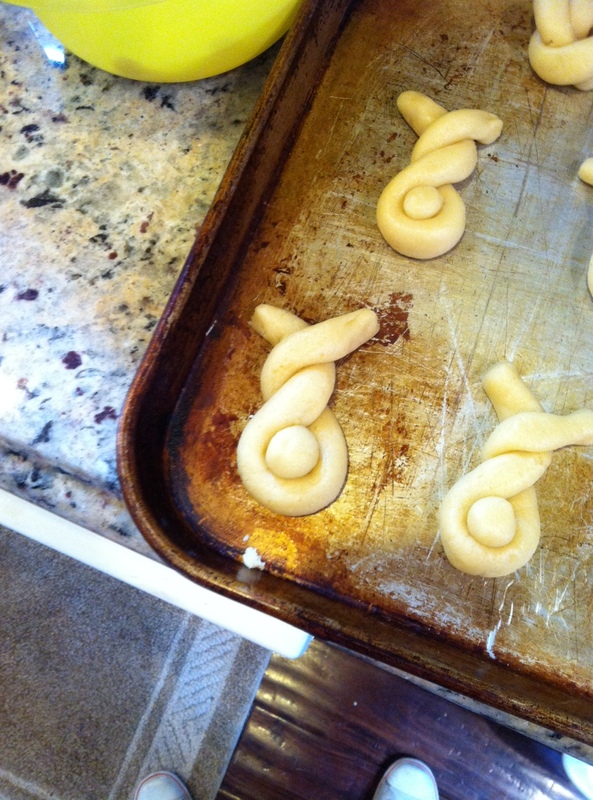 Form knots or bunnies and bake on ungreased cookie sheet at 350 degrees for about 10 minutes. Mix confectioner’s sugar, a drop of vanilla, and warm water until you get the consistency you want (I like my icing on this thick side). Dip tops of cookies into icing and add sprinkles! EnJoY! Corn Bread. What a delicious treat for a cold Saturday afternoon. My husband, who loves to cook, whipped this up and let me tell ya, it was good. What I love about this recipe is its rustic and hearty quality. The recipe came from a cookbook called The Bread Baker’s Apprentice by Peter Reinhart. If you like corn bread give this recipe a try. You may also want to check out another favorite that I shared on a previous post by clicking here. 1. The night before baking the corn bread, soak the cornmeal in the buttermilk. Cover and leave at room temperature overnight. 2. The next day, to prepare the bacon, preheat the oven to 375 degrees F. Lay out the bacon on 2 sheet pans. Bake for about 15 to 20 minutes, or until the bacon is crisp. Using tongs or a fork, remove the pieces to a pan lined with paper towels to cool. Drain off the fat into a can or stainless-steel bowl and save for greasing the corn bread pan. When the bacon has cooled, crumble it into coarse pieces. 3. Lower the oven setting to 350 degrees F. Sift together the flour, baking powder, baking soda, and salt into a mixing bowl. Stir in the granulated sugar and brown sugar. In another bowl, lightly beat the eggs. Dissolve the honey in the melted butter and then stir the warm honey-butter mixture into the eggs. Add this to the soaked cornmeal mixture. Add the wet mixture to the flour mixture and stir with a large spoon or whisk until all the ingredients are evenly distributed and the batter is blended and smooth. It should be the consistency of thick pancake batter. Stir in the corn kernels until they are evenly distributed. 4. 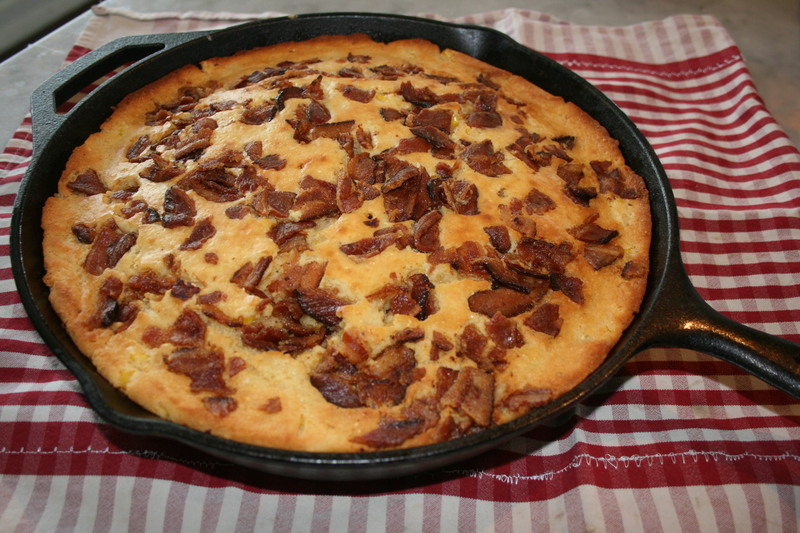 Place 2 tablespoons of the rendered bacon fat into a 10-inch round cake pan (you can also use a 9 by 13-inch baking pan or a 12-inch square pan). Place the pan in the oven for 5 to 7 minutes, or until the fat gets very hot. With good pot holders or oven mitts, remove the pan, tilt it to grease all the corners and sides, and pour in the batter, spreading it from the center of the pan to the edges. Sprinkle the crumbled bacon pieces evenly over the top, gently pressing them into the batter. 5. Bake for about 30 minutes, or until the corn bread is firm and springy (the baking time will depend on the size of the pan) and a toothpick inserted in the center comes out clean. The top will be a medium golden brown. The internal temperature at the center of the corn bread should register at least 185 degrees F.
6. Allow the bread to cool in the pan for at least 15 minutes before slicing it into squares of wedges. Serve warm. I am filling in for Robyn today and will post again on Friday! School starts tomorrow and I’ve been making a list of all the breakfast mEaLs I want to have prepared for Leanne each week. (When Doug was growing up, his Mom would make him a different breakfast food for each day of the week. Like oatmeal on Mondays, sandwiches on Tuesday, etc) Wasn’t that such a good idea? 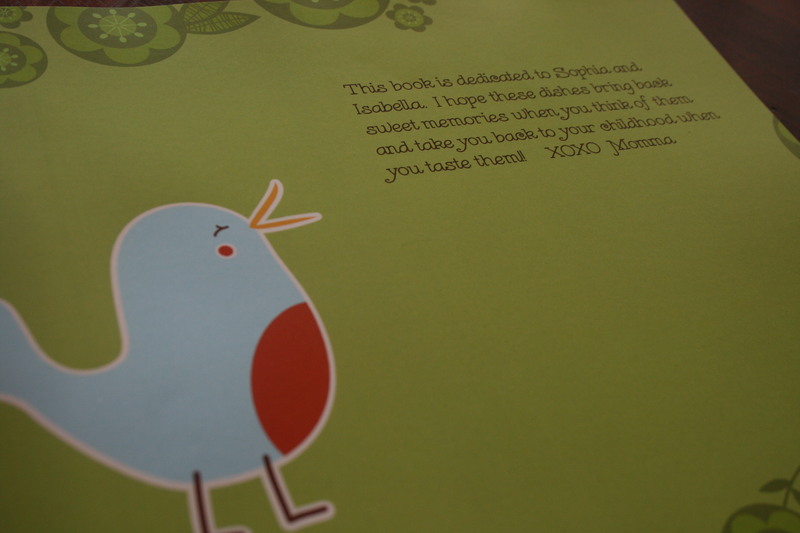 And it keeps you from scrambling each morning, trying to decide what to make the kids! I thought I’d share one of our fAvoRites. It is super easy and our kids actually beg us to make it! I also like that it sticks with you throughout the morning, so you don’t get hungry until lunchtime! 1) Fry up some bacon and eggs (to your liking). 2)Toast some bread and spread it with jelly (we like strawberry!). 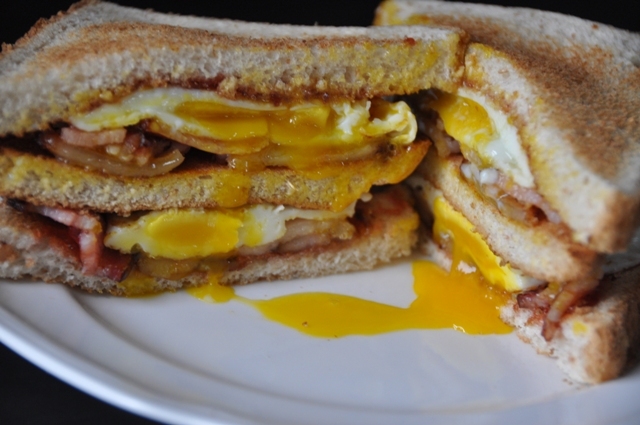 3)Stack the egg and bacon in between your bread and cut at an angle. For the men out there, Doug likes a “double decker” (as shown in the picture) so he uses three slices of toast, two eggs and a few slices of bacon! This recipe has been a LiFeSaVeR when I need to make a dessert but am short on time. It is the perfect blend of salty and sweet! 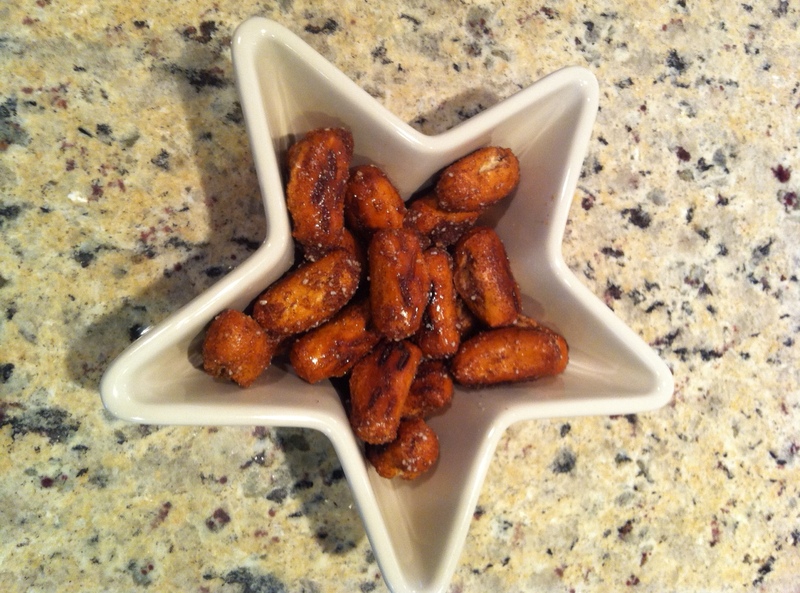 Mix oil, sugar, and cinnamon together and pour over pretzels in oven safe baking dish. Bake for 8-10 minutes at 300 degrees. Take out of oven and stir pretzels around to make sure all pretzels are coated with mixture. Put back in the over for 5 more minutes. Let cool and EnJoY! *Stay tuned for my Easy Garlic Pretzel Appetizer version of this recipe! 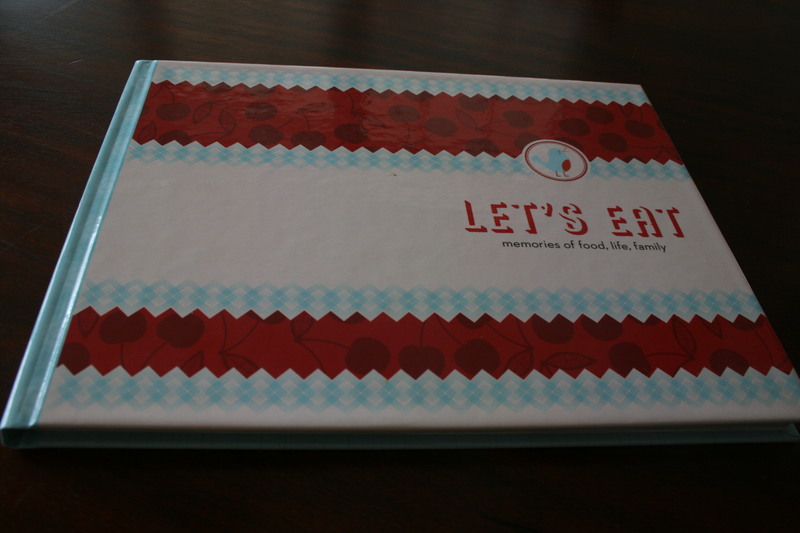 Live-It List item #7 – Compile a recipe book of family favorite recipes. 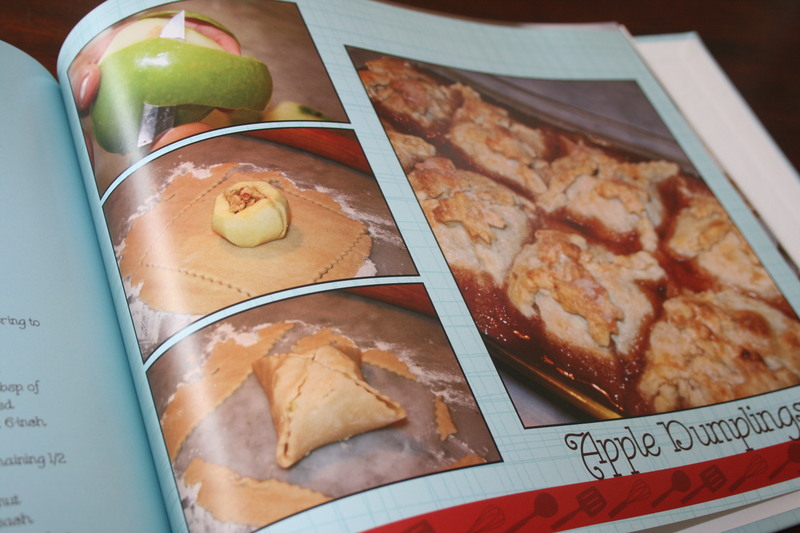 Here’s a peek at my recipe book from Shutterfly consisting of my family’s favorite recipes. 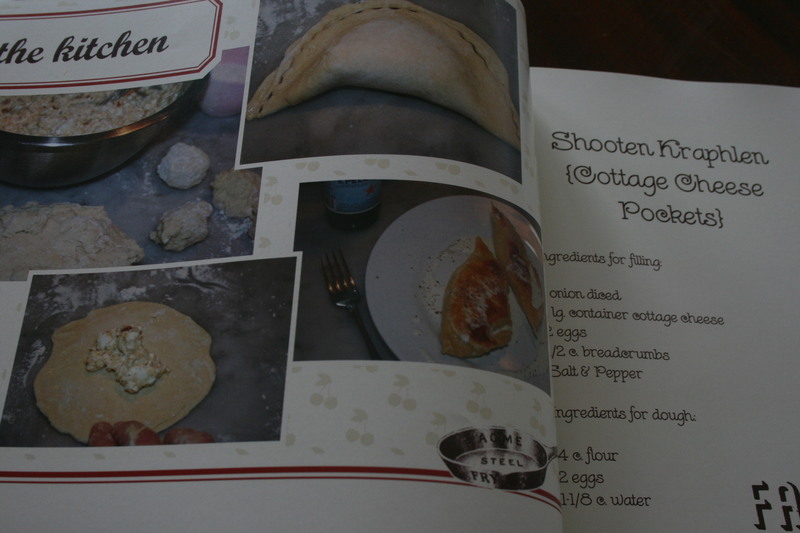 A childhood favorite German recipe – Shooten Kraphlen. 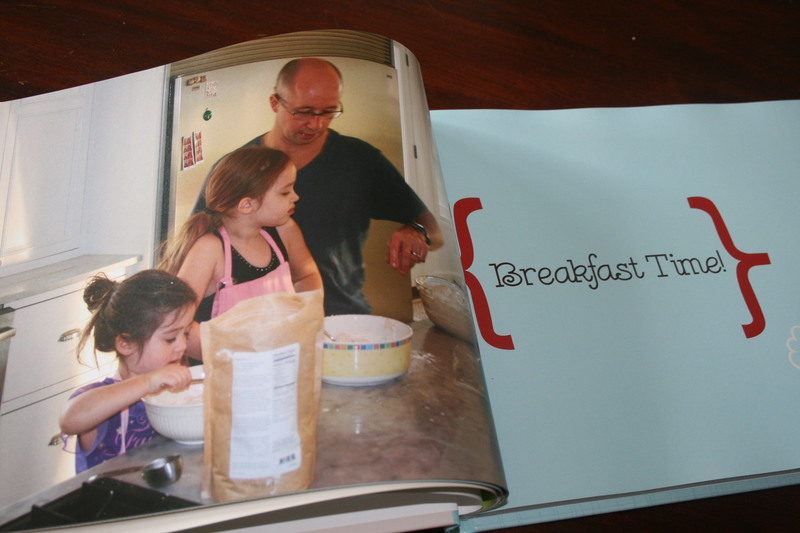 I included pics of the family cooking…. 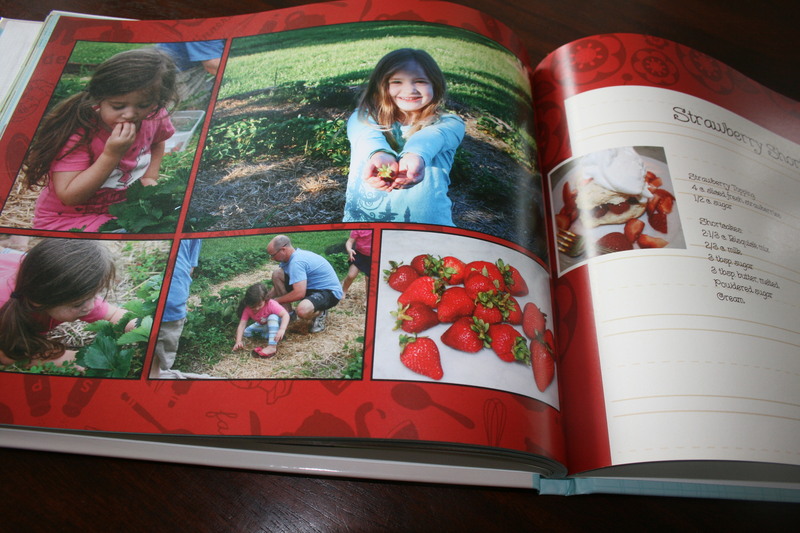 I went to shutterfly.com to make my book, but you can make a homemade version by using page protectors and inserting your favorite recipes. Take a second and check out this video! 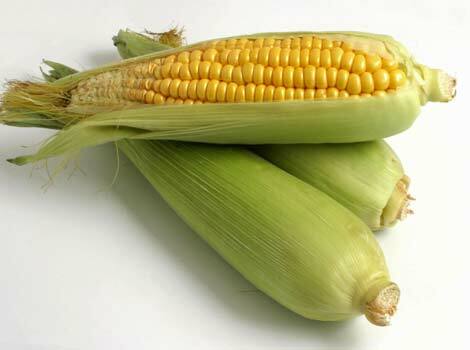 If you love eating corn on the cob, this is the COOLEST and EASIEST way to shuck corn!